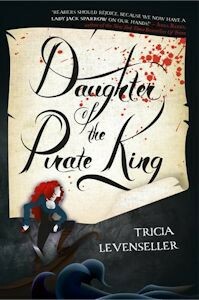 An entertaining, and easily one of the best Pirate stories; I've ever read. I pictured Alosa, the feisty MC to look like a redheaded Keira Knightley, which is due to the narrator sounding just like her. Seriously, the accent and tone was a dead-on match to Elizabeth Swann. Throw in an excellent cast of characters, a mysterious treasure hunt, and some mythology in the form of Sirens and you got yourself a surprising likable pirate story.